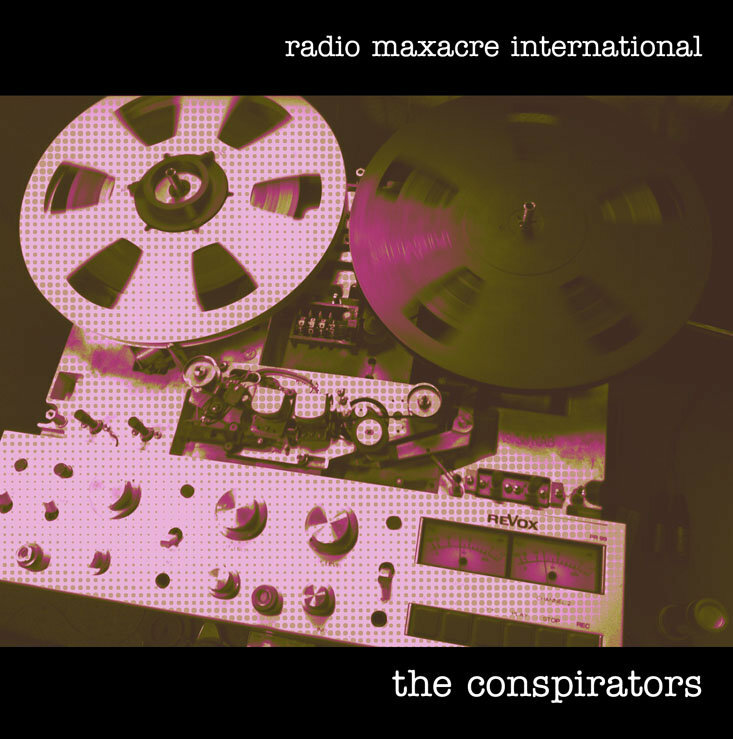 somewhat of a dark secret in the radio massacre international pantheon, 'conspirators' came about when an ex-bandmate of steve's, max noble popped round one sunday afternoon in 1995. in those days our hq was in London, which meant that manchester-based gary was not always on hand to play. on this occasion, gary's jam-man had been left set up from the previous day's session, so max brought his telecaster & started to learn the lexicon. several cups of tea and ciggies later, we had this. super-sub max was a founder member of late '80s indie legends "eat", played guitar in "tv eye" alongside steve on drums, & has spent much of his time since then with bristol perennials "the blue aeroplanes".